Eclectica³ Mini 39 is 1 of 8 stamps in a new series of mini art stamps from my collection with PaperArtsy. Made in the UK, these stamps are deeply etched, red rubber that is backed with repositionable cling cushion. EM 39 measures approximately 1 1/2 by 2 1/4 inches and is perfect for mixed media art. 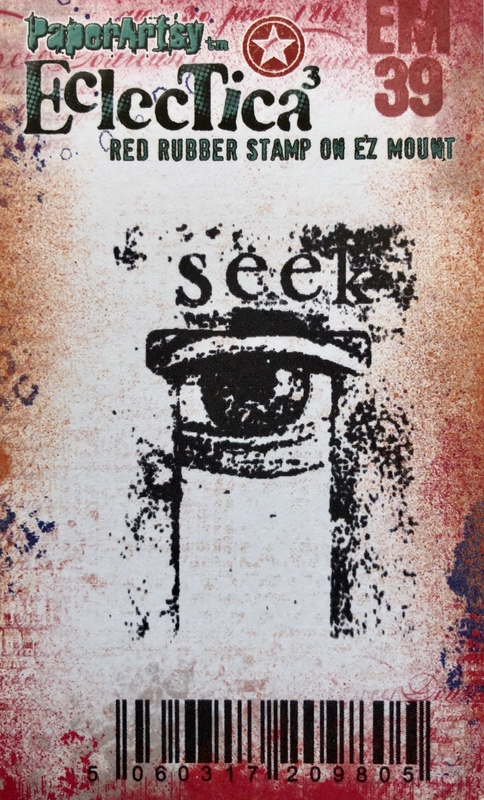 Based on a design taken from my original art, the focal point of this stamp is a hand drawn eye along with the word seek.